Food Wars! 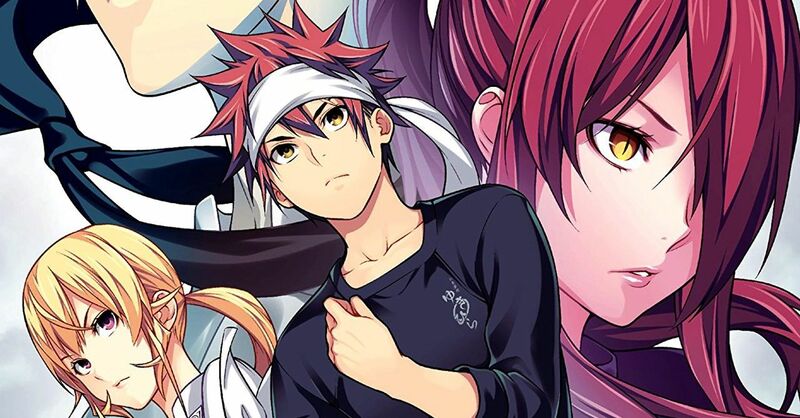 : Shokugeki no Soma Vol. 29 Review – AiPT! The fourth bout of the tournament against Central comes to a close. Food Wars! : Shokugeki no Soma Vol. 29 is out this week, featuring writing by Yuto Tsukuda, art by Shun Saeki, and recipes devised by Yuki Morisaki. This installment continues the Central arc as Soma and company face off against members of the Council of Ten to determine the Totsuki Institute’s future. Most of this volume is devoted to the tournament’s fourth bout in which Erina, Isshiki, and Takumi challenge Akanegakubo, Tsukasa, and Rindo respectively. The tournament’s conclusion is rapidly approaching, but is it still as enjoyable as it was in the beginning? Is this volume good? Most members of the Council of Ten didn’t get much page-time prior to this arc, but Saeki and Tsukuda continue to try and make up for that here. We get a little bit of backstory for Akanegakubo, and seeing how cuteness is not just a cooking preference but a driving force in her life helps make her stand out from her peers. Isshiki’s childhood friendship with Nene also gets explored, and their personalities and approaches toward cooking bounce off each other very well. As far as this volume’s actual cooking goes, Isshiki’s segment is by far the most entertaining and well-written. His dish, which reflects traditional Japanese cooking principles while still delivering surprise after surprise, is likened to a traditional dance performance with multiple parts. Add in Saeki’s choices for Isshiki’s garb and the use of fans as weapons in the splash page metaphors and you have a scene that commits to its themes through and through. Unfortunately, not all of the writing and character work here is that strong. Azami in particular is a very bland villain who more or less just personifies what evil would look like in opposition to Soma and company’s values. This could be a great base for philosophical argument and characters standing up for what they believe in, but the execution just isn’t there. Azami is ultimately too ineffectively cartoonish, as are his lackeys from the WGO. Add in their snide remarks about Une being “inadequately endowed” and the humor in their scenes just feels forced and predictable. All in all, this volume’s adult villains possess none of the uniqueness that makes the younger characters so memorable. Art-wise, most of Saeki’s work here is strong. As previously mentioned, the splash pages are great. The choices of metaphors used to depict the judges’ reactions to the dishes they’re judging are great, full of creativity and shifting in tone to match the chefs’ individual personalities. The shading and textures throughout look good as usual, particularly where the food is concerned. There are also some great facial expressions here, usually in dramatic moments or brief comedic asides. With all that said, there are some scenes that don’t pack as much of a visual punch. The line-work remains clean throughout, but these lesser moments just don’t have the same great personality the rest of Saeki’s art does. The characters’ reactions look more generic, the foods presented feel less like bonafide events, and the attention to small detail just isn’t quite as on-point as it usually is. No part of this volume ever looks remotely bad, but there are definitely scenes that fail to command one’s attention as effectively as others. Overall, Food Wars! : Shokugeki no Soma Vol. 29 is good read, albeit not as strong as many of the series’ prior installments. There are some great moments interspersed throughout, particularly where the splash page metaphors and Isshiki’s cooking are concerned. With that said, the antagonists are bland and some scenes just lack the unique sparkle that make the manga so memorable. I still recommend this volume, just not as highly as those from earlier in the arc. Food Wars! : Shokugeki no Soma Vol. 29 is good read, albeit not as strong as many of the series' prior installments. There are some great moments interspersed throughout, particularly where the splash page metaphors and Isshiki's cooking are concerned.